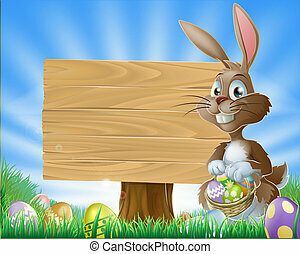 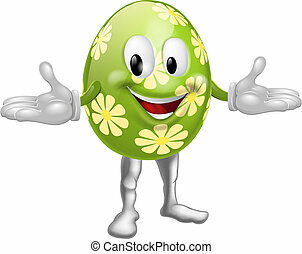 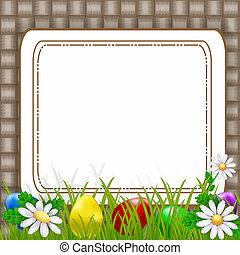 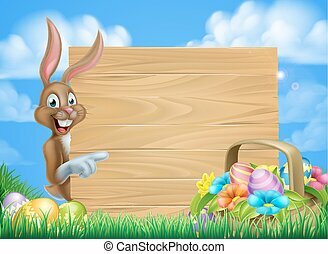 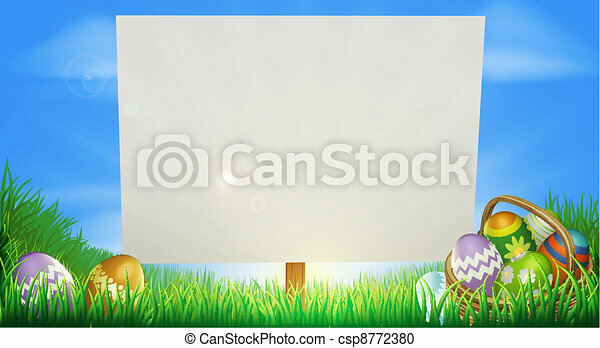 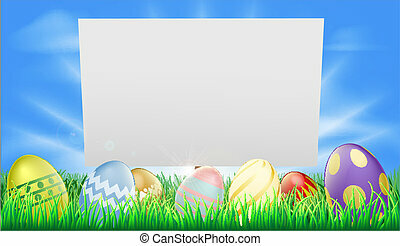 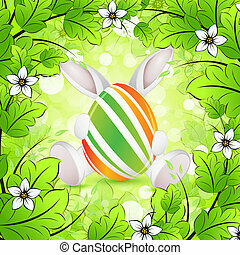 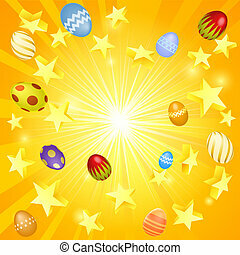 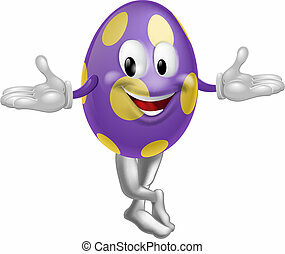 Easter background sign in middle of field with easter eggs and basket. 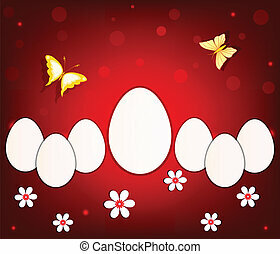 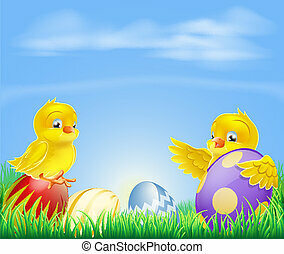 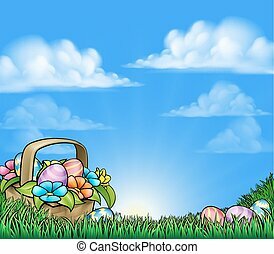 A bluebird Easter cartoon background. 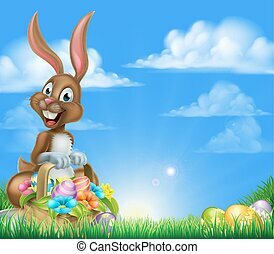 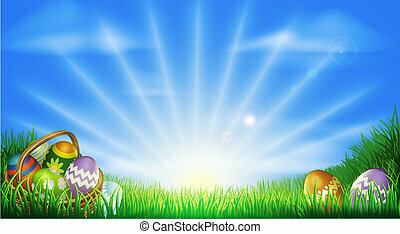 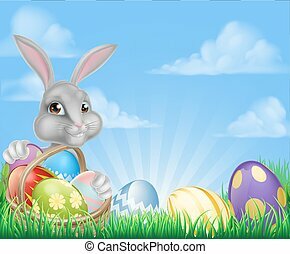 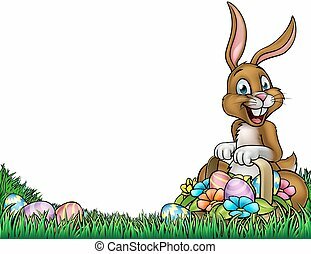 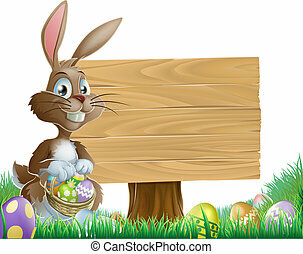 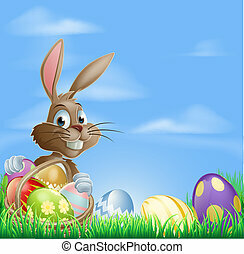 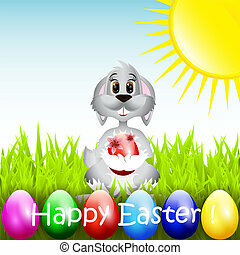 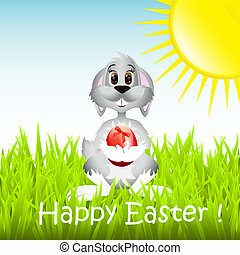 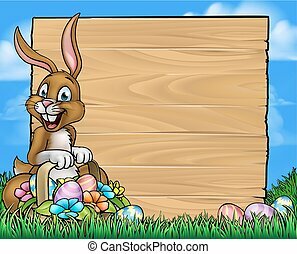 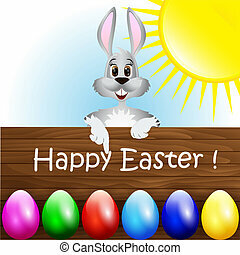 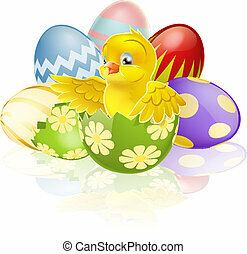 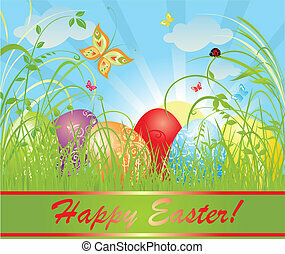 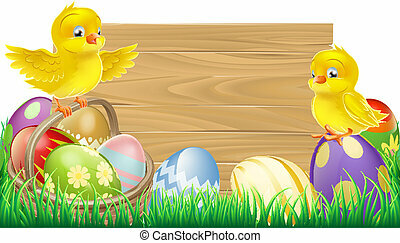 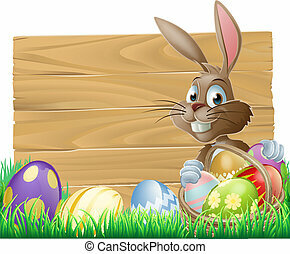 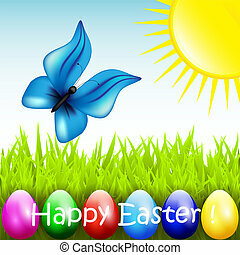 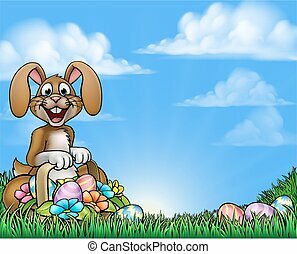 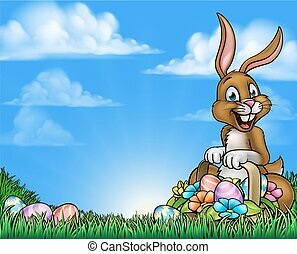 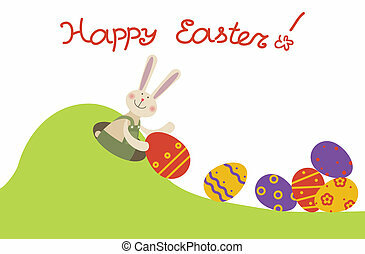 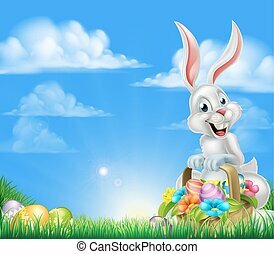 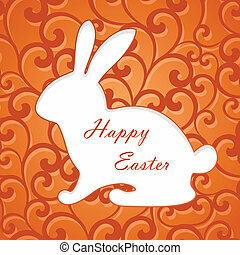 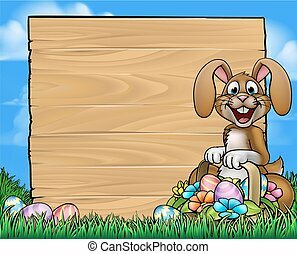 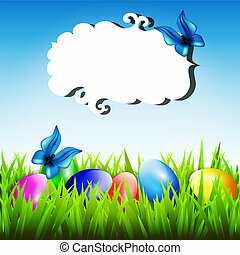 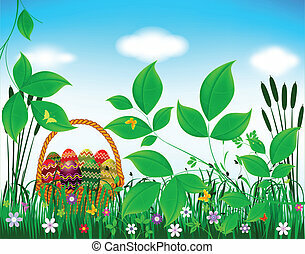 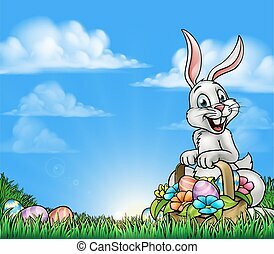 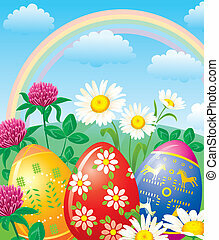 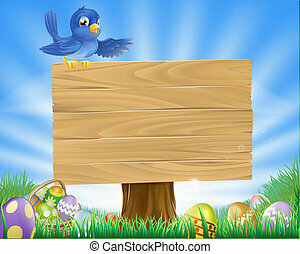 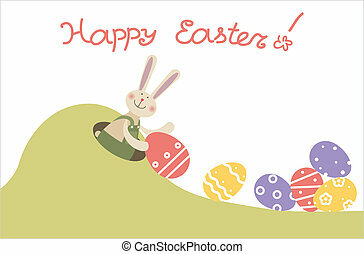 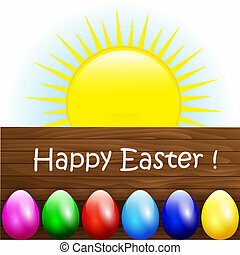 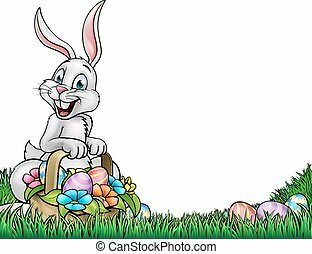 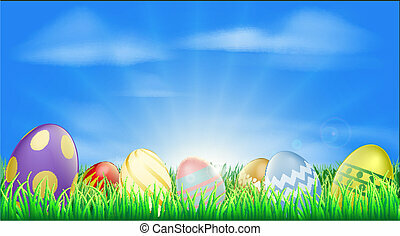 Blue bird sits atop a rustic wooden sign in field of grass with Easter eggs and Easter egg basket.